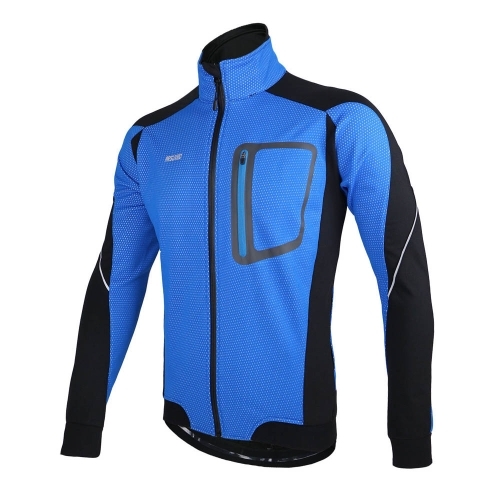 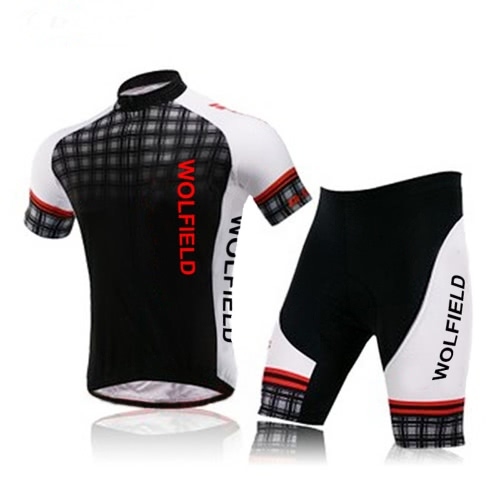 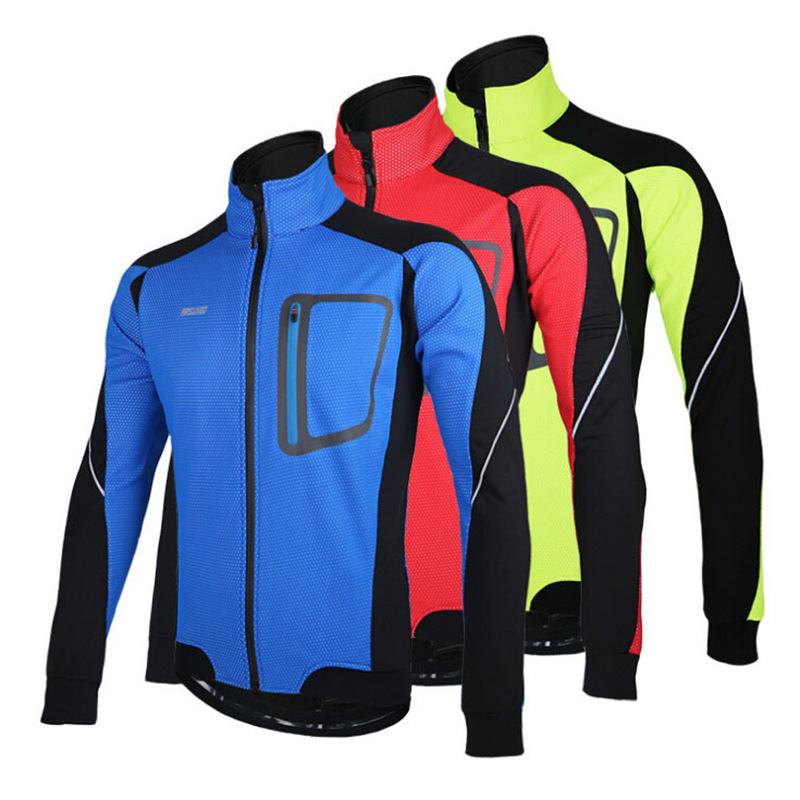 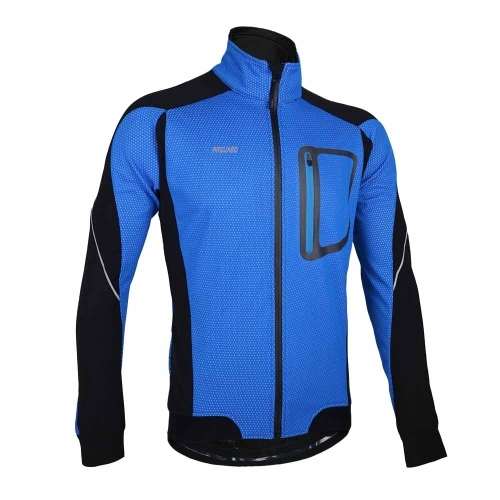 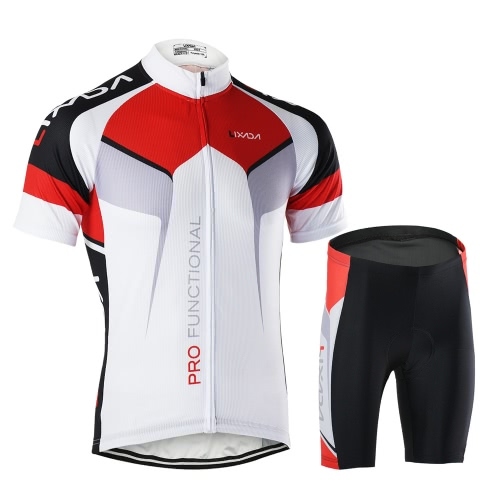 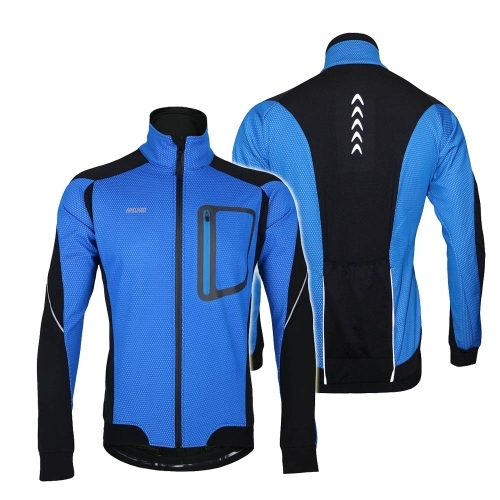 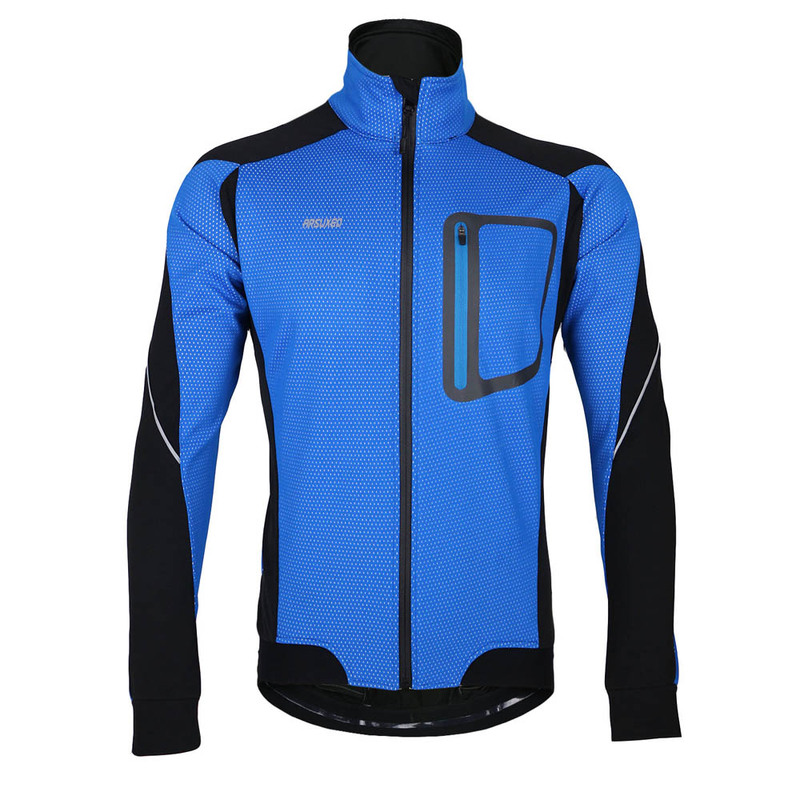 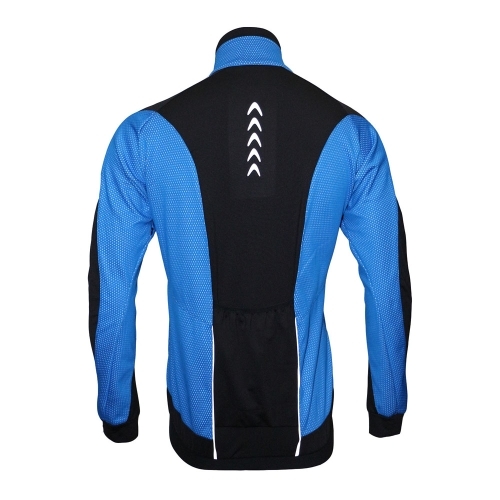 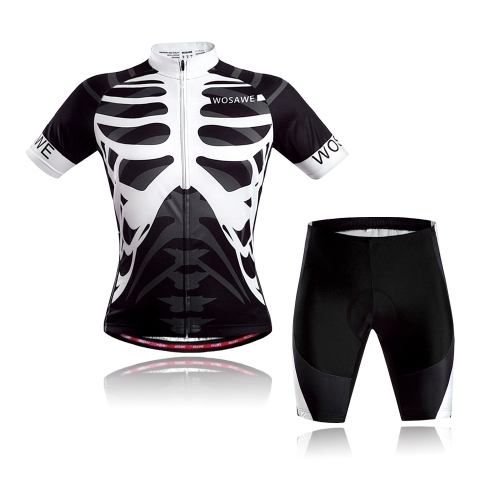 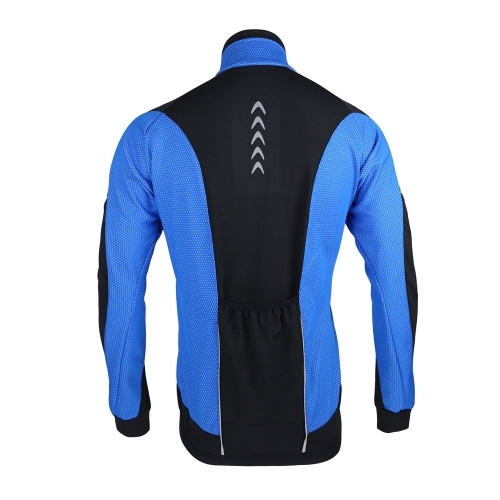 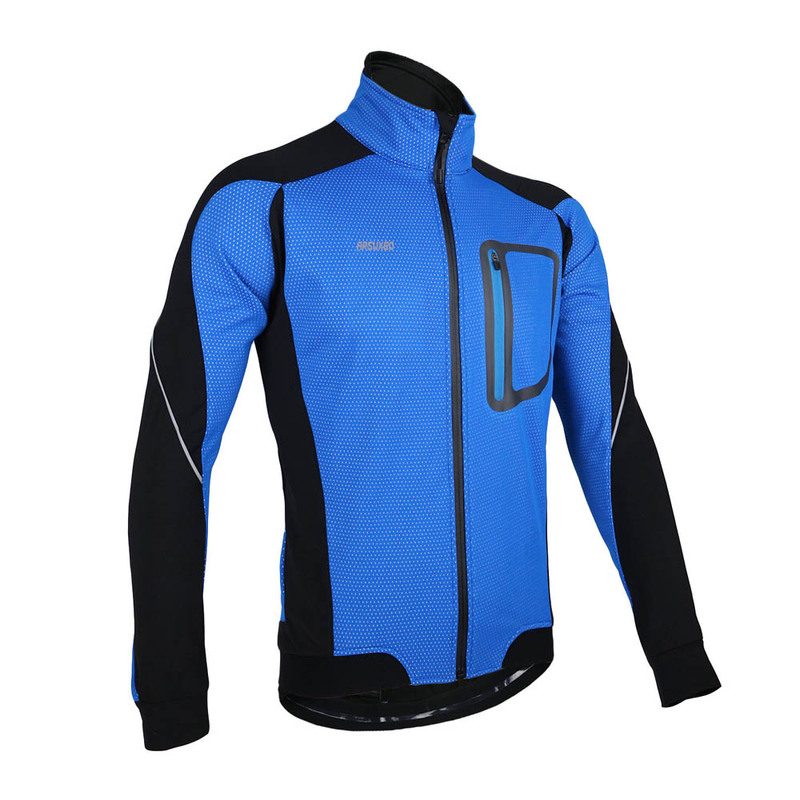 Wearing this stylish and comfortable cycling jacket and enjoy yourself when cycling! Size is optional: S(EU)=Chest 43.3" / M(EU)=Chest 44.9" / L(EU)=Chest 46.5" / XL(EU)=Chest 48.8" / XXL(EU)=Chest 50.4". 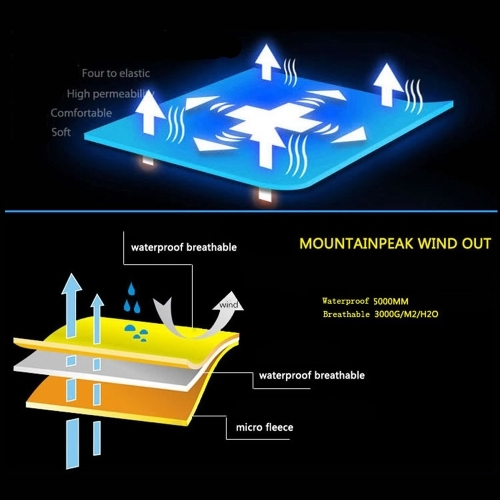 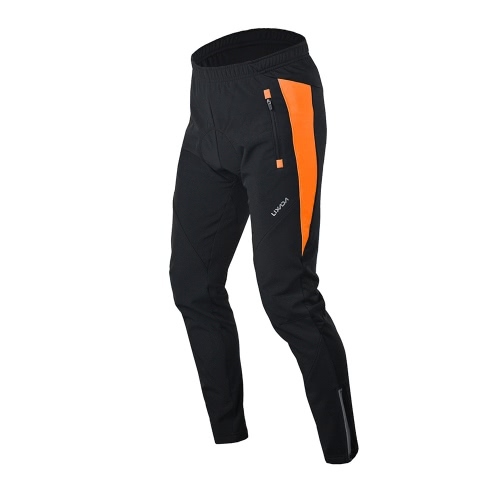 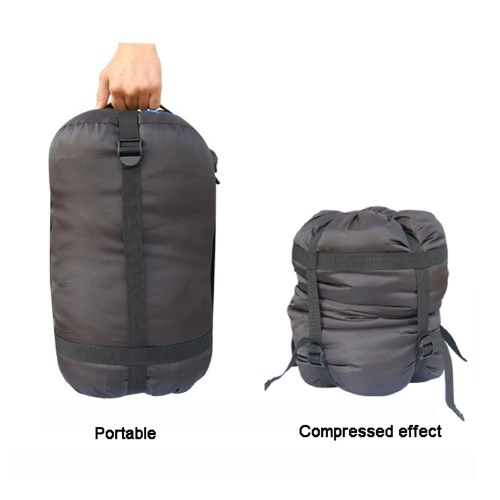 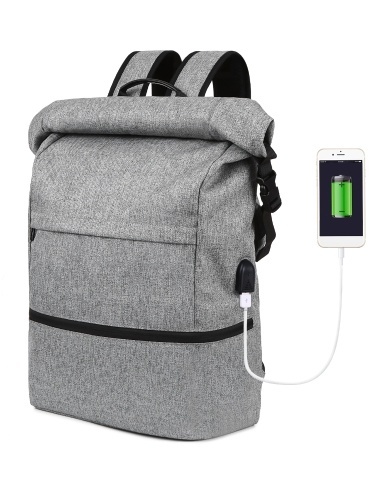 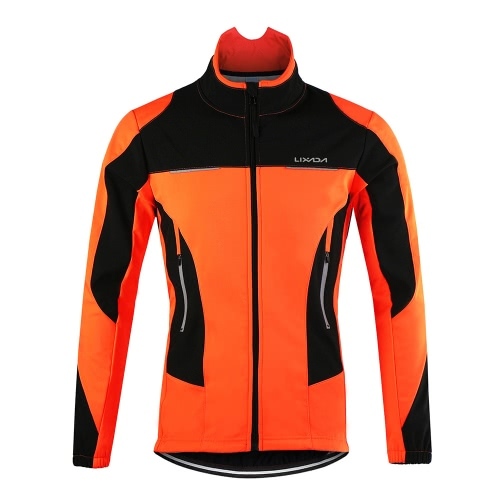 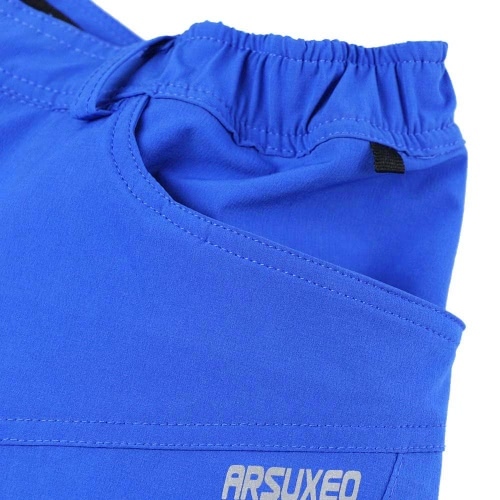 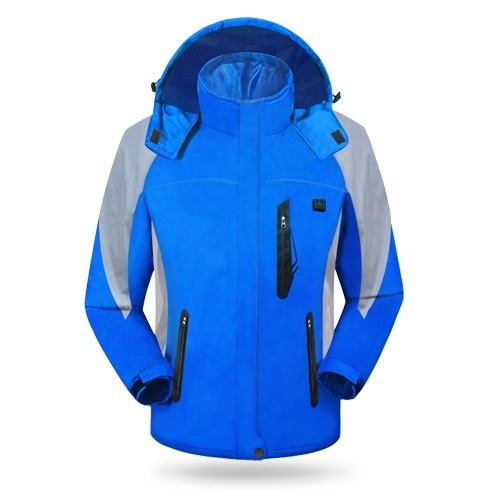 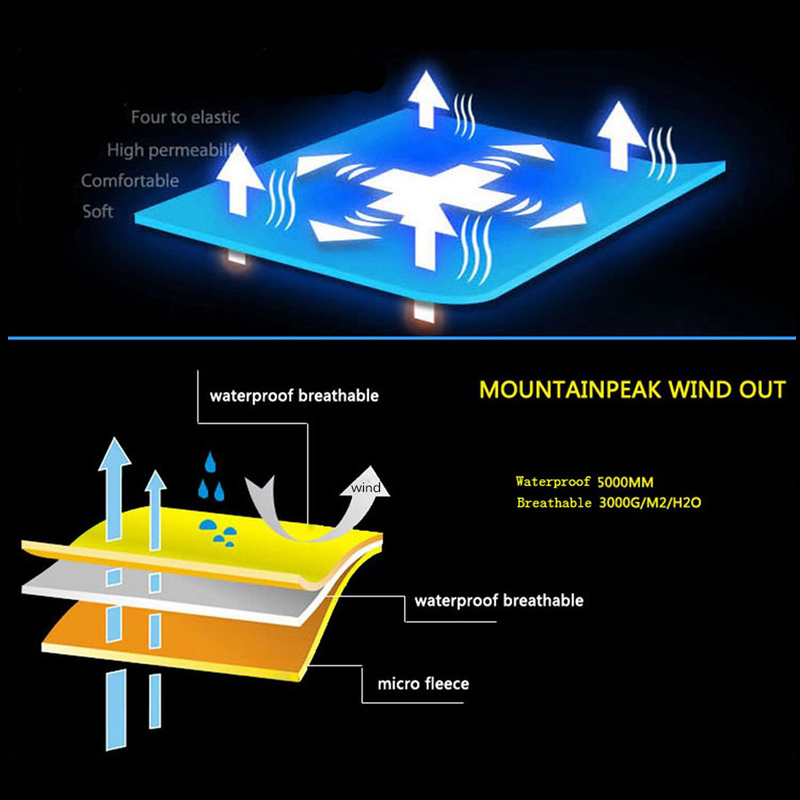 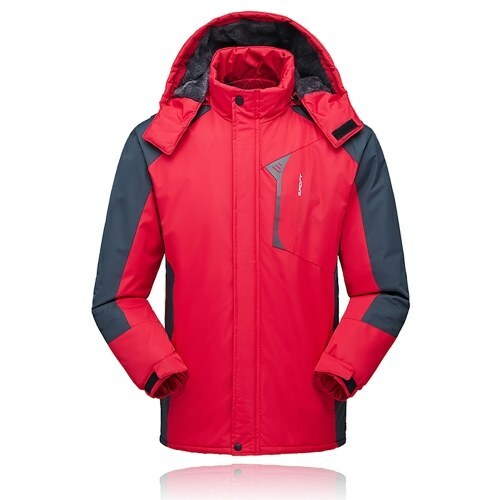 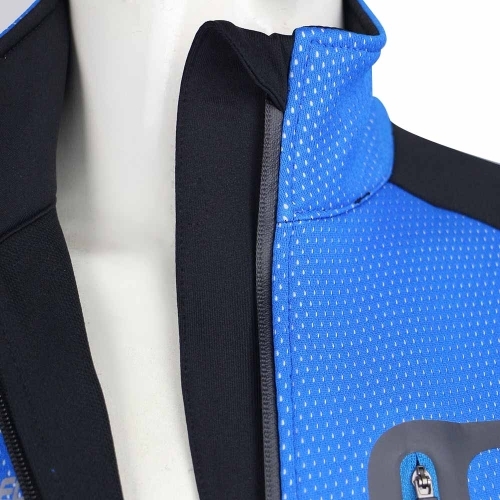 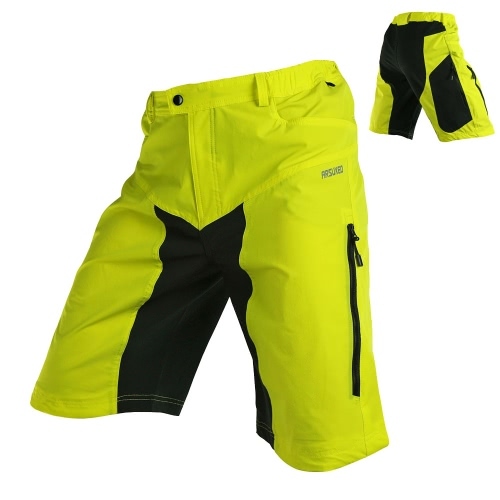 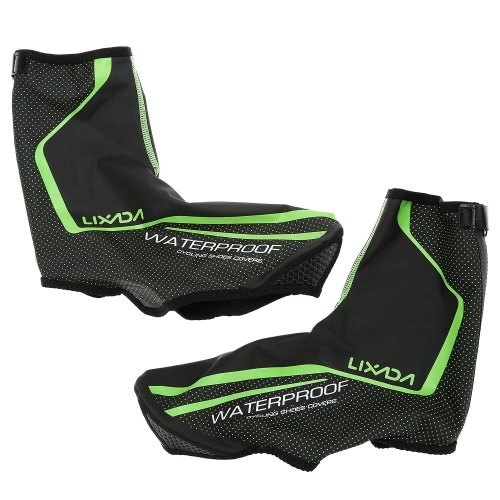 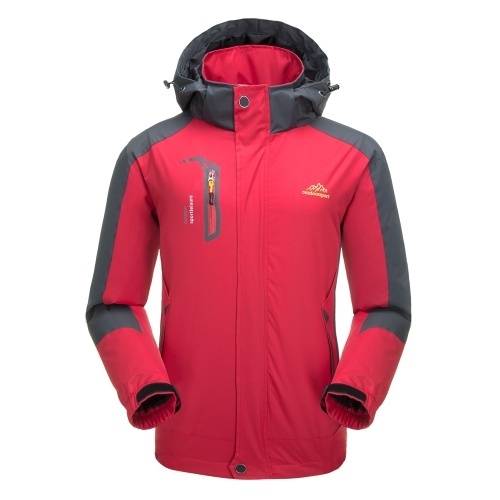 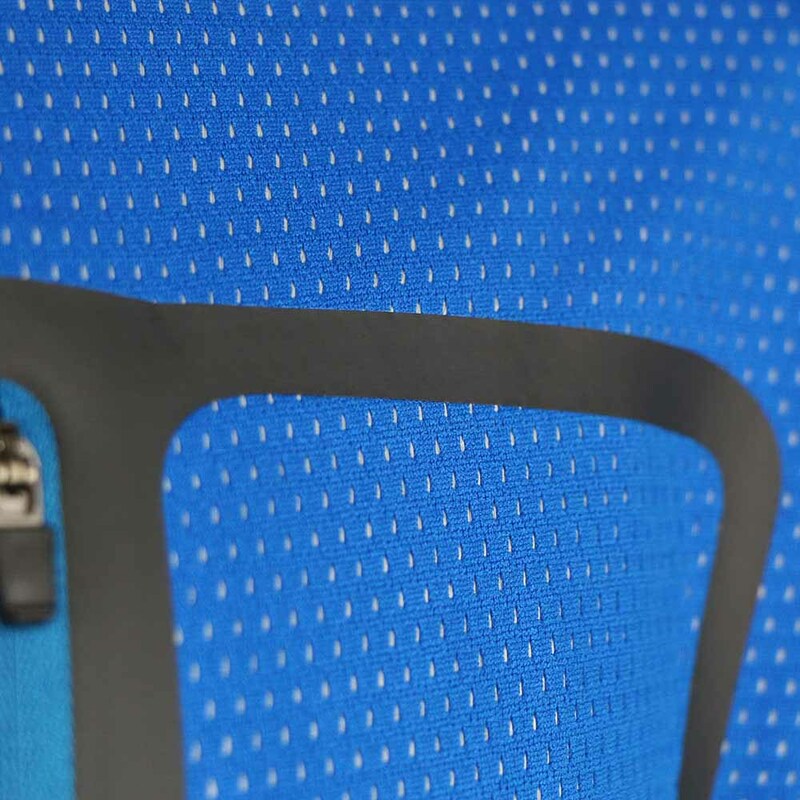 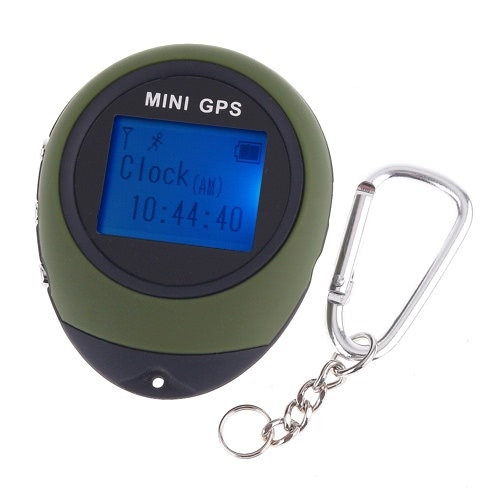 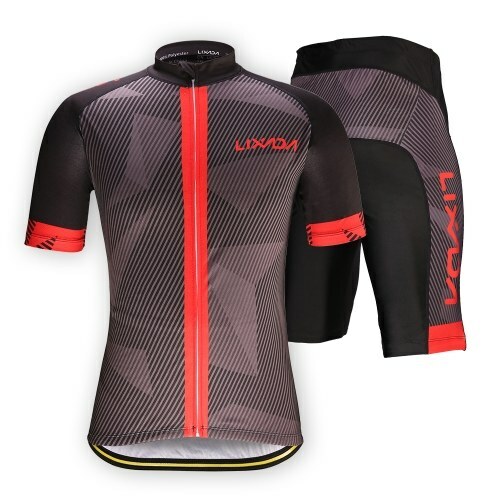 Three layer fabric: Mesh polyester surface, water-resistant micropore thin film mid layer, soft warm fleece lining. 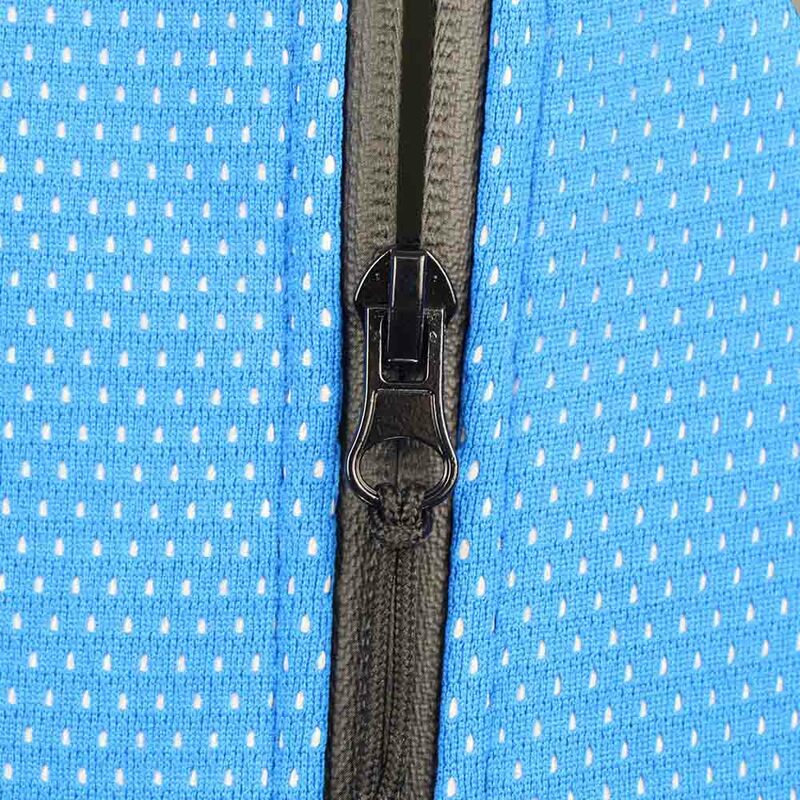 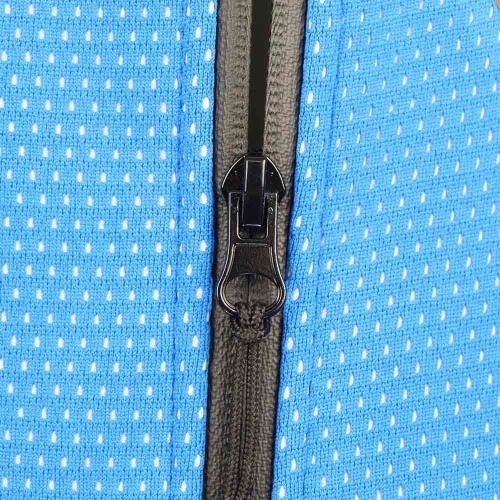 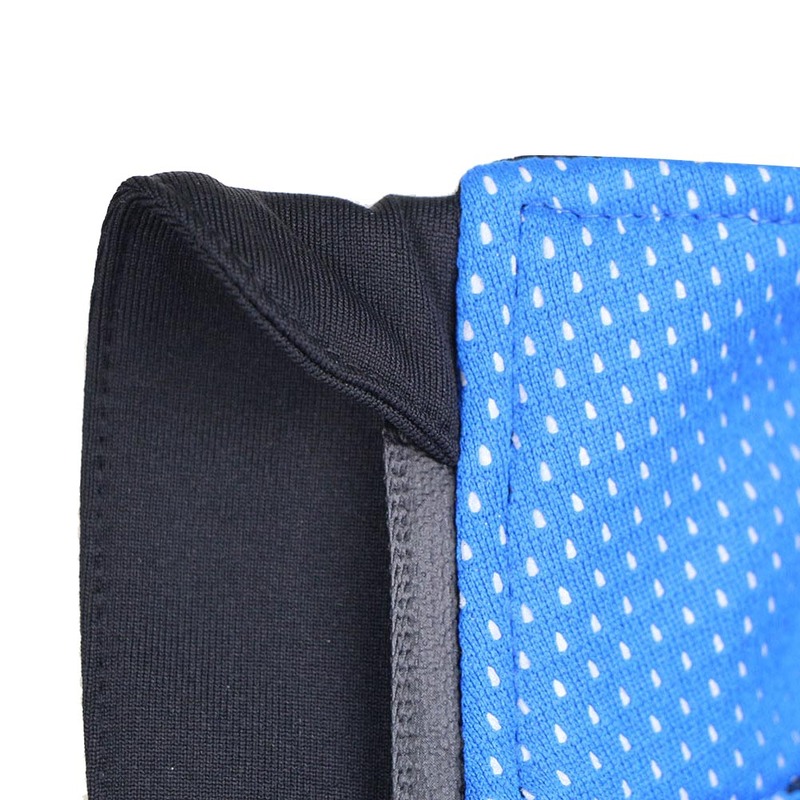 Underarm zipper design for good ventilation. 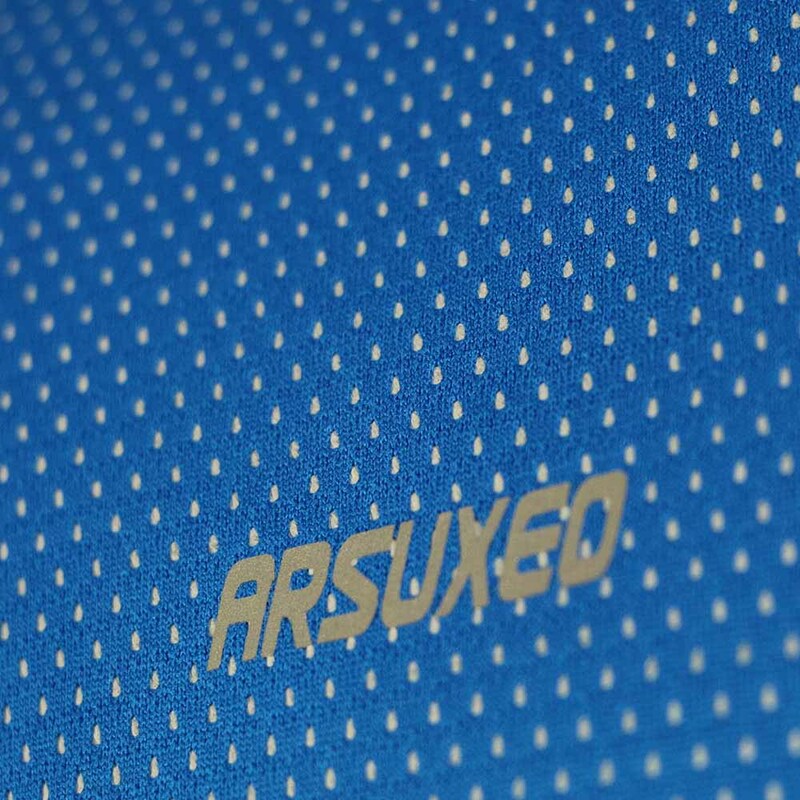 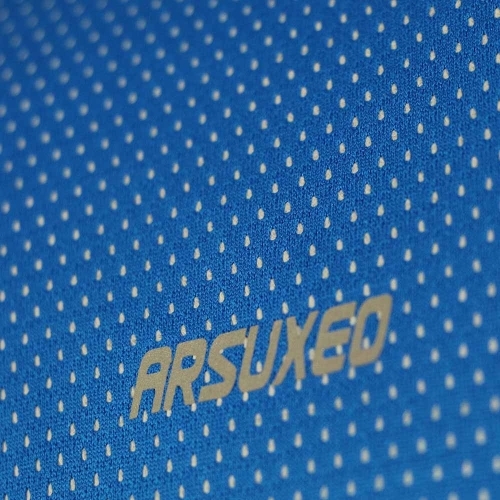 Reflective logo and stripe for safe riding at night. 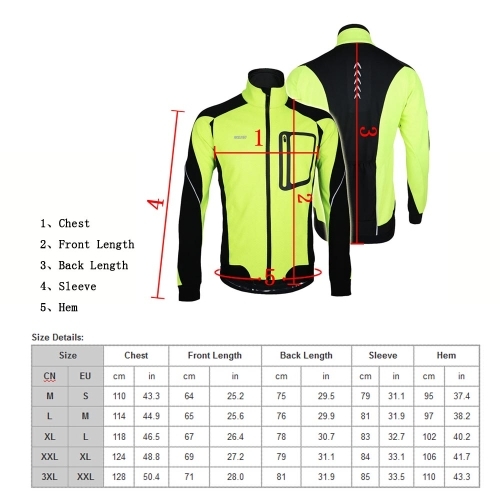 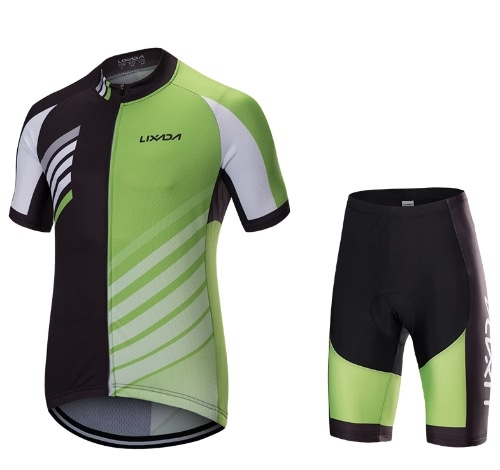 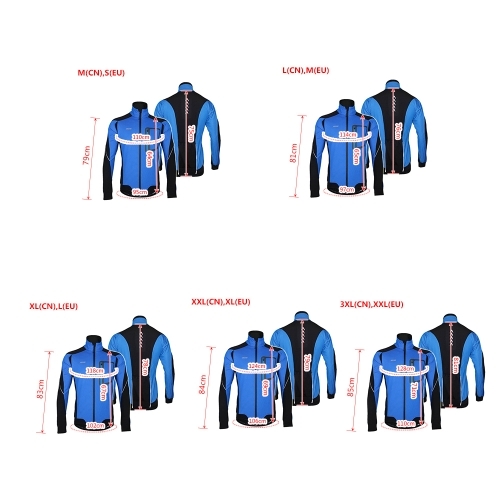 The cycling jacket is delivered in CN size, which is smaller than EU and US size. 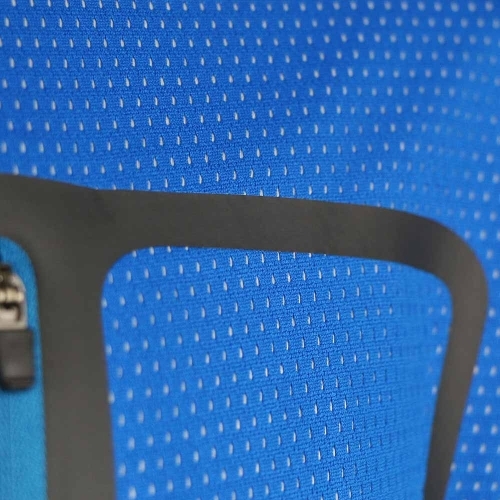 M(CN)=S(EU)=S(US). Please refer to our size chart and choose the correct size.